Blaming things on genetics–everything from lateness to diet quirks–is wildly popular these days. However, DNA’s role in your body’s overall destiny has been greatly exaggerated. Sure, DNA is the “master blueprint”, but any one gene from that blueprint can contain instructions for making hundreds or thousands of tiny cell parts. And even so, there are plenty of cell parts that defy the master template. Proteins–tiny biological machines made from proteins that you eat– are key players in pretty much every biological process that happens. Yet, their behavior remains almost impossible to decipher. Scientists have gotten pretty good at decoding genes and RNA snippets, and tracking a single type of protein is pretty doable. Also, since RNA snippets are templates for building proteins, scientists often use RNA data to estimate the total number of proteins. But there are thousands of different protein forms in every cell; tracking all of them at once remains basically impossible. However, variations in those proteins can make an enormous difference in processes like weight gain. And according to a new study, our most-used method for estimating protein numbers–counting the RNAs–only works about 30% of the time. As in, according to science’s latest numbers, at least 2/3rds of all “genetic bad luck” happens outside of genes. The researchers, led by Johan Auwerx of Ecole Polytechnique Fédérale in Lausanne, Switzerland and Ruedi Aebersold of ETH Zurich (also in Switzerland), fed lab mice one of two diets–high fat or standard–and ran the mice through a battery of weight gain, fitness, and metabolism tests. Some of the high-fat diet mice ballooned up to twice the weight of their twins/clones on the regular diet. 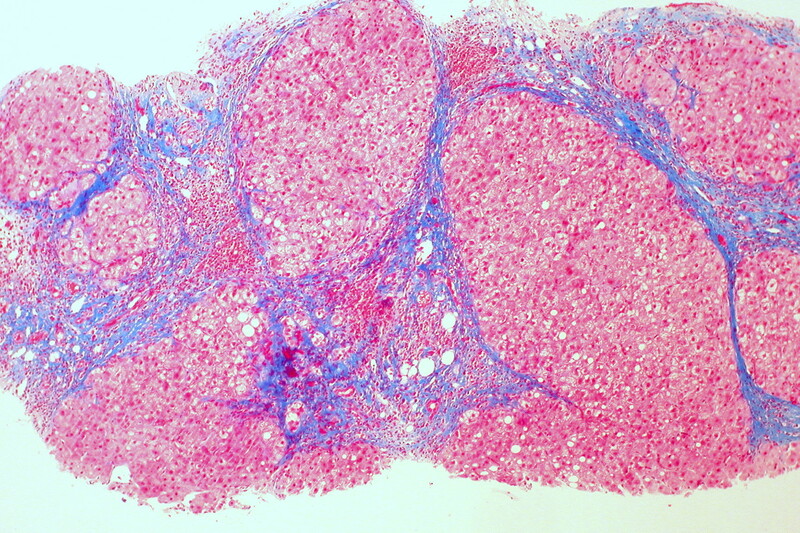 They chose the liver as the focus of the study, partly because it’s extremely hard to predict people’s responses to liver-targeting medication. Metabolisms vary much more widely in people than they do in one particular strain of lab mouse. This study marks an important first step toward understanding the relationship between genes, RNAs, proteins, and final traits of the organism (e.g. weight, how long mice can run without getting winded, etc.) but there’s still an awful lot of work to be done. Very few labs outside of scientific powerhouses like EPFL and ETH Zurich have the technology and resources to measure such a wide swath of proteins in cells. For this study, the research team led by Aebersold invented a new variation on an old chemistry technique called mass spectrometry. To collect mass spec data, scientists run their samples through a machine that shakes the molecules in the sample apart. Some types of molecular bonds break more easily than others, so by looking at the weights of the chemical fragments at the end of the process, chemists can figure out which chemicals were most likely in the original sample. The problem is that proteins are much larger than most other biomolecules. Undergrad chemists train on the equivalent of 20-piece jigsaw puzzles, smallish molecules that predictably break into a handful of easily recognizable chunks. (I say that as someone who had to study about 2.5 hours every single day to make a B- in the class where we did this. Even so, Organic Chemistry 201 is basically mass spec kindergarten.) In comparison, making sense of mass spec data from a protein is more like putting a 10,000 or 100,000 piece jigsaw puzzle together. It’s so difficult and time consuming that making their data without a computer would be almost impossible. And since they were repeating the chemical jigsaw assembly process 2600 times for 2600 different proteins, they had to rely on a computer to help make sense of their mass spec data. “We still cannot sequence the whole proteome,” Aebersold said. But the 2600 proteins they analyzed were still enough to tell some surprising stories about liver metabolism. For some proteins, increases in the number of their template RNAs meant the cell would make more proteins. For a few, the opposite was true. And for many of the proteins, there was no clear relationship between the number of RNA templates and the number of final proteins at all. However, in some RNA-protein pairs, diet could change their relationship. As in, some protein-RNA pairs lined up sensibly in mice on the low-fat diet, but in the mice eating the fatty food, the quantities of RNA-transcripts and proteins stopped matching. Which is kinda freaky. Figuring out the play-by-play of how that happens will require a whole slew of future studies. Confused? You’re not alone. Neither Auwerx nor Aebersold was surprised when I told them my write-up of this study would most likely appear on my wonky little blog rather than a major science news outlet. “In biology, we don’t have the formalism that we do in math or physics,” Aerbersold explained. Researchers like Aebersold have a hard time phrasing their findings as simple stories, because the theoretical frameworks for generalizing about RNA-protein relationships and protein-protein interactions don’t really exist yet. However, this study’s co-authors took a stab at improving molecular biology’s theoretical framework by using the term “trans-omics”. If genomics is the study of gene networks and proteomics is the study of protein networks, then “trans-omics” is the study of networks that connect multiple “-omics” fields to each other. From Williams et al. 2016. “Systems proteomics of liver mitochondria function” Science 10 Jun 2016:Vol. 352, Issue 6291. In their summary figure, they present their data sets as a set of concentric circles–rings within rings. The outermost ring represents genome and the genes on the 20 mouse chromosomes. The next ring represents the transcriptome, the total pool of RNA copies the liver cells made of their genes. After that, there is a ring representing the proteins themselves–the proteome–and then a ring for the end-products of protein reactions–the metabolites and the metabolome. Finally, they include a ring and a handful of inter-connected green and yellow dots. These represent the final traits observed in mice–their phenotypes or the “phenome”. There are many possible ways to move from gene to final trait, and those paths through the trans-omic rings are largely unstudied and undocumented. (That’s why scientists are always finding genes seem to increase risk for certain diseases or disorders but can’t explain why or how.) Aebersold and Auwerx’s goal is for biologists to start finding patterns that recur through many gene-to-trait journeys. In fact, finding those patterns is going to be biology’s major project for the next couple of decades. It will take hundreds of thousands of hours of lab work by thousands of scientists, millions of computer simulations, a great deal of statistics and programming expertise, and a lot of creativity. But this is what molecular biology is all about. And if biologists are able to use these patterns to predict drug side effects, health risks, and identify stops in the journey where new medicines could make a difference, that’ll be quite a pay-off. Auwerx, Aebersold, and their colleagues already spotted one potentially important pattern in their “trans-omic” data. Many of the genes that control the shapes of liver cells’ powerhouses–the mitochondria–follow the same trajectory all the way from DNA-dwelling gene through the RNAs, proteins, and metabolites to the mouse’s overall health outcome. The mice with misshapen mitochondria were among those most susceptible to the unhealthy side effects of the high fat diet. They gained more weight and got winded while exercising more easily, among other things. So this is probably a solid clue that looking at liver mitochondria shape in people will help predict who is most at risk of complications due to liver-affecting medicine and who high fat diets will affect the most. Since Aebersold’s lab is the one that focuses most on proteomics and developing new technologies for studying it, his team is working on using their techniques to search for trans-omic patterns in cancer patients. Only time will tell what they find. Blaming your weight or your hatred of exercise on genes alone is unfair; there are so many more inter-connected molecules that shape metabolisms. And to sort them out, scientists are going to have to work through a lot more data.